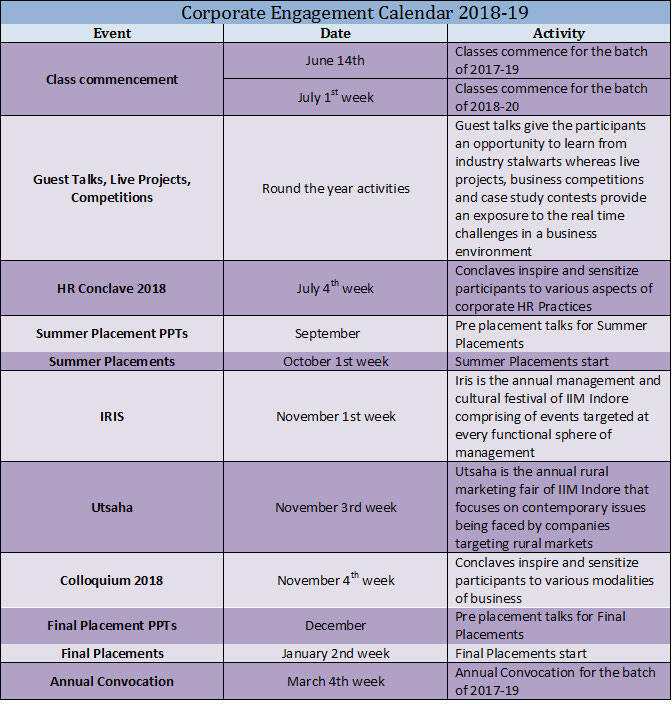 Recruiters who wish to conduct presentations and participate in the Summer, Lateral or Final placement process at IIM Indore are requested to communicate with the Placement Office at placement@iimidr.ac.in or contact the Placement Committee. Limited accommodation facility is available in the institute guest house. Recruiters are requested to communicate an early request if they wish to avail this facility during the Summer, Lateral or Final Placement process. The Placement Office can also coordinate in arranging accommodation outside the institute, if required.